When looking for an excellent home contractor in Park Ridge, IL you can do no better than hiring us. If you want your home to be the most beautiful it can possibly be, go to work with a professional. 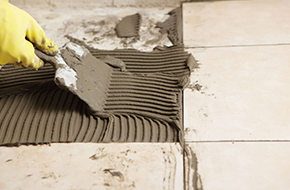 We have the home contracting knowledge and experience to guide you easily through the process. 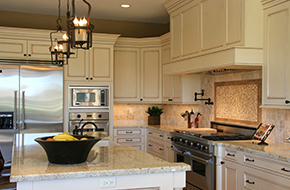 At Above & Beyond Construction, a passion for making your home the best it can be shines through. We specialize in all sorts of jobs, from remodeling to construction to new additions. Most importantly, our philosophy centers on listening to our clients’ needs and using their input to guide us. We have no interest in doing work based on what we think looks nice. Instead, we focus on your particular taste and give your home a personal touch that will give you a lifetime of happiness and comfort. When you combine our technical knowledge with our desire to perform the work specifically to your taste, you get the best home contractor in the area. We have left a trail of happy and satisfied customers over the past quarter century to back that up. No one does it better than us because no one matches the care we have for the people we work for. We encourage you to do your research before hiring us. You will find that the high quality we consistently turn out places us in the upper echelon of contractors anywhere you care to look. We have taken the time to perfect our craft because we love what we do, but our other passion is seeing how happy our clients are after we finish. They are the ones who will be living in the home for years, and that is why we care so much about their happiness. You deserve that kind of attention and service. Yes, we are a cut above the rest. For any work your home needs in Park Ridge, IL make us your first call.